Symbolismus is a private collection of German, Austrian, and Czech works of art that are symbolist, visionary, or mystical in nature and were created during the period between 1870 and 1930, roughly. This website focuses upon paintings, drawings, and sculpture in the collection, with each entry in the vertical bar on the left representing a separate work by a given artist. However, the collection also includes thousands of symbolist prints (etchings, engravings, lithographs, and woodcuts) as well as photographs, manuscript material (letters, postcards, diaries, etc. ), books, and ephemera; and some of that material is displayed here in association with a principal work it helps contextualize. The website is a work-in-progress, with many works yet to uploaded; the content expands on regular basis. Symbolismus is part of The Daulton Collection, a large collection of western and non-western art owned by Jack Daulton of Los Altos Hills, California. 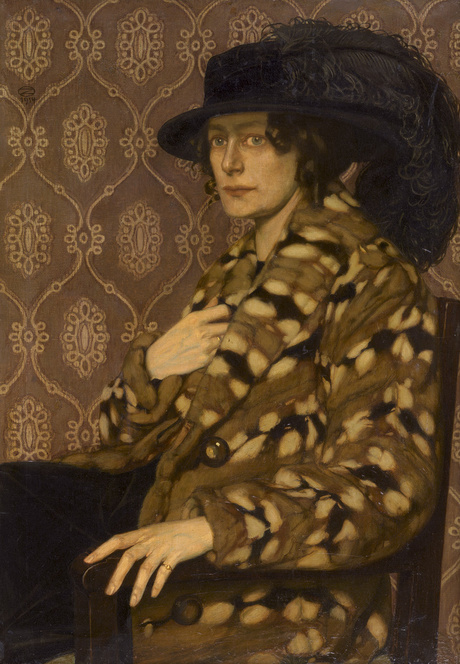 Related websites showcasing other aspects of The Daulton Collection include: www.gabrielvonmax.com, www.ottogreiner.com, www.marieellenrieder.com, www.frauen-kunst.com, www.franzvonstuck.com, and www.daultonart.com (antique and ethnographic textiles).